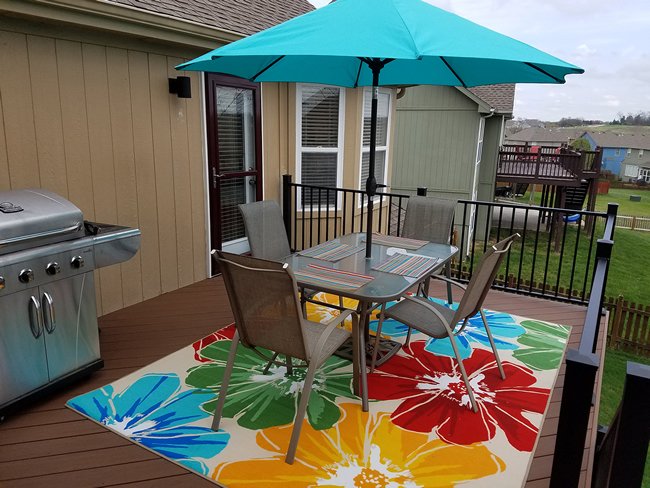 Will a deck add value to my home? Will a deck add value to your home, more so than a porch or patio? This is a common question among homeowners, who are considering adding a new outdoor living space to their home, whether for their own enjoyment, or as an investment before selling. What are true value-added outdoor living solutions? To quickly answer a part of the bigger question, it is estimated throughout the building industry that adding a deck to your home will give you an average of 80% return on investment. That means if you spend $10K on a new deck for your home, and you sell the home, you can expect up to or even beyond an $8K return. This is a much higher average return than adding a room to your home, which comes in at an average of less than 70%. Keep in mind that there are other factors that play into these calculations, and returns could be higher or lower depending on the size of the deck, geographic location, cost to build, materials used to build, and many more. 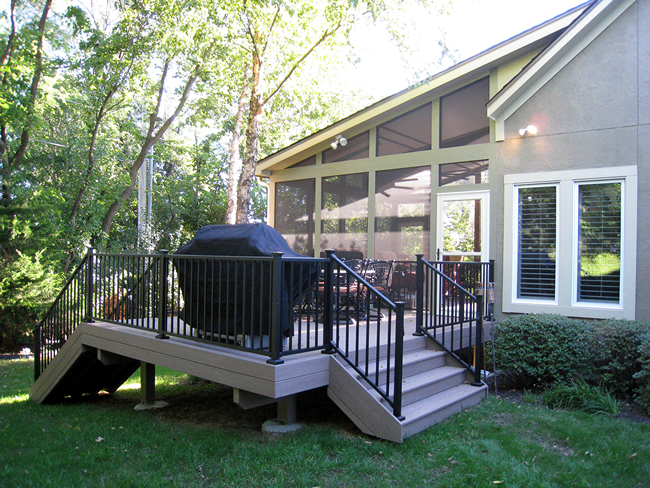 Specific to the Kansas City area market, adding an outdoor living area to your home before selling is the standard, as builders are now adding covered decks and even screened porches to new homes. If you list your home for sale, you will be competing with the inventory of new homes in the area, and potential buyers will want to see outdoor living amenities. A deck can add value to your home. But what does “value” mean when it comes to outdoor living? 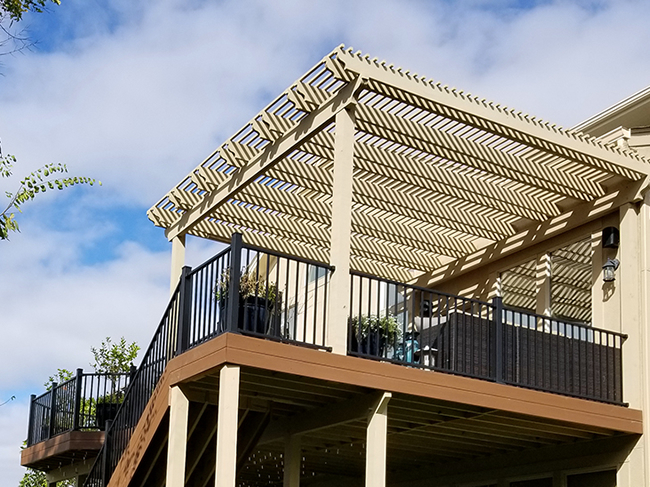 As an experienced deck builder, we can offer a better explanation about adding value to your home with an outdoor living space, or an addition to your existing outdoor living space. Over our years of experience, we have learned that “value” is subjective. Each of our clients has different needs for their outdoor living space. Some host large parties, while others use it solely as a personal retreat. Adding value to one’s outdoor living space is based on improving their desired use of the space. Overall, however, we have keyed in on one very common value-added addition – a roof. 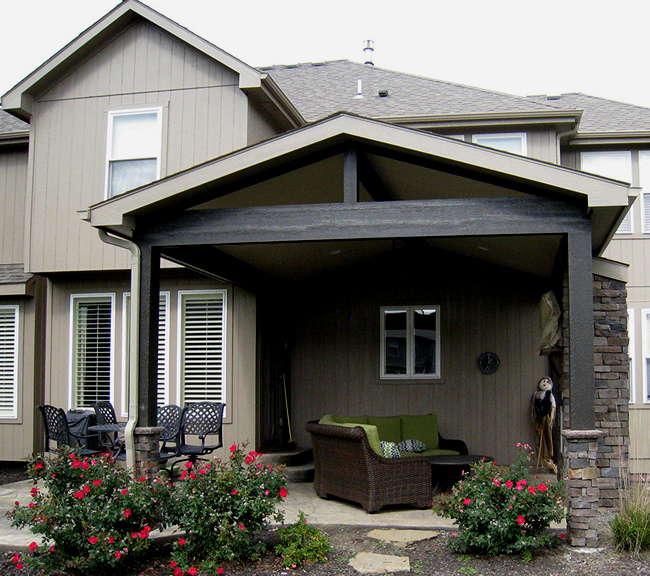 The roof of this covered patio is a valuable home addition. If you currently have a deck or open patio and find that you are not getting ample use of your space due to excessive sunlight or lack of rain protection, a roof, first and foremost will add value to your space. We have built many roofed structures and pergolas for this very reason. It is also very likely that a roof would add value to your space for resale, as it is a common value-added solution across the board. With one addition, you have expanded use of the space by protecting yourself from the elements. More hours of use and better use equate to value-added. A pergola can be a valuable addition to a deck. 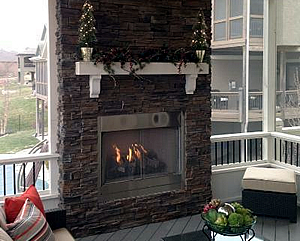 What about outdoor amenities, like TVs, lighting, and fireplaces? A common misconception about adding resale value to your outdoor living area is that if you include more elaborate amenities, such as a fireplace, or electrical for TVs, lighting, and the like, you will get a bigger return on your investment. 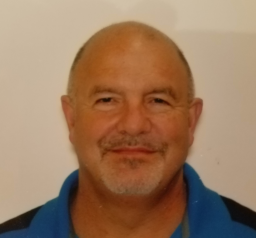 This fallacy comes from the fact that even though these things might add much value for you, the current homeowner, it is impossible to know if a potential buyer would use the space in the same way that you do. If someone prefers to spend time outdoors only in 75-degree weather, or above, they will have little use for an outdoor fireplace. If a potential buyer prefers watching TV inside, lounging on their favorite recliner, they will not see themselves using a screened porch equipped with a TV. So, if your focus is adding resale value, the general rule would be to keep it simpler. Conversely, if you would like to add these custom amenities to your outdoor space, because they would offer you more use of your space, then, yes, you should add them. 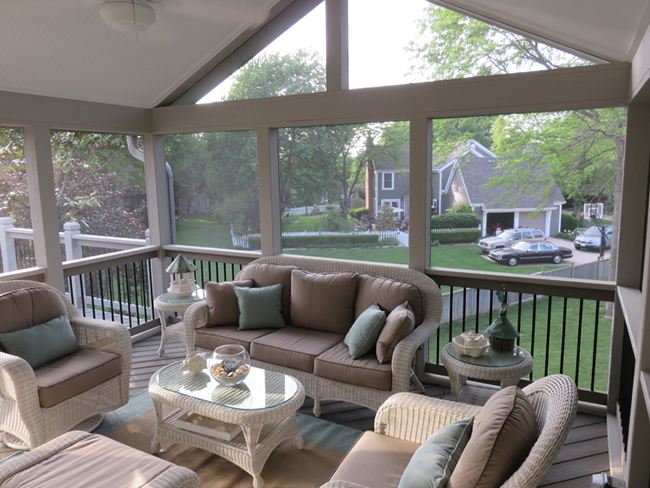 If you are not getting enough use of your open porch, because of insects, adding screens will add value for you. If you are planning a new screened porch, and intend to use it in cool weather, adding a fireplace will add value for you. The list goes on! Screened-in spaces can add value to the way you live outdoors. Are you ready to add value to your home with a new outdoor living space? Whether you are ready to add a custom space to your home based on your needs, or for resale value, Archadeck of Kansas City can help. We offer personalized outdoor living solutions for any lifestyle, any home, and for any reason. We can help you plan, design, and build your ideal porch or deck, or combination of spaces that will add value for you or for potential buyers. Add a deck and porch combination for valuable time outdoors. Are you ready to add value to your home with a new outdoor living space? Give us a call for a free consultation at (913) 851-3325 or drop us an email. We look forward to working with you to design the perfect new outdoor living space for your home.